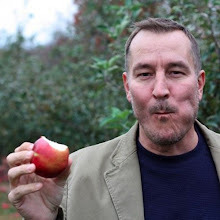 Growing up with grandparents on the Potomac river in Coles Point, Virginia, it was only natural that from a young age picking crabs on a picnic table loaded with newspaper was something I call a food "Life Lesson." All in all, everything you have heard is true: it is messy, it requires some patience, it is work to get to the meat, but in the end, it is well worth it. 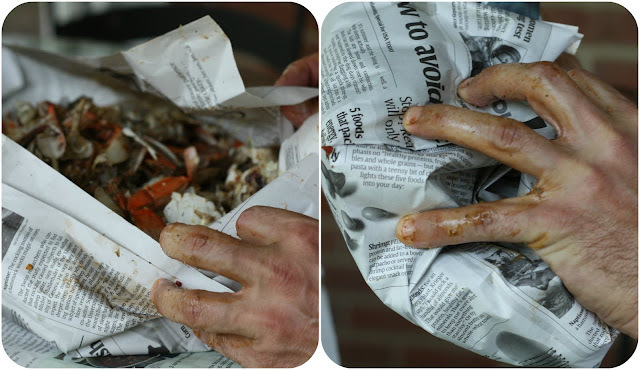 So roll up your sleeves, wrap a paper towel around a cold beer, and let's pick some crabs. 1. Remove the legs from the crab, reserving the claws. 2. I always use the claw to grab and pull back the move-able apron found on the abdomen of the crab. The crabs I purchased happen to be male crabs, known as "Jimmys." Females are known as "Sook." 3. Remove the apron completely. 4. Turn the crab over and pull upward on the shell from the back of the crab peeling it forward. Reserve the shell as this has the wonderful Old Bay seasoning. 5. This is where it gets a little messy. Find and pull your finger through the channel in the middle and remove any of the gray gills on each side of the body. 6. Grab each side firmly and bend in the middle, breaking in half. This will give you two sides of the crab, which has meat within each side. 7. Each channel has meat that once controlled each of the legs. By breaking each of these thin layers of shell you gain access to the channels for meat inside. 9. Slide the meat across the shell where the Old Bay awaits! 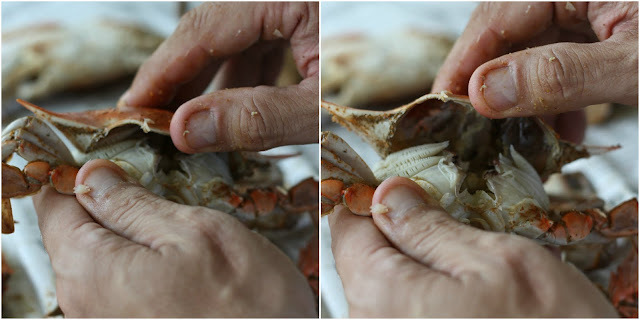 When picking crab meat, I always prefer to go through all of the bodies first and then finish by cracking the claws and adding that meat to the bowl. 10. Finally why newspaper? It makes for a super easy and quick way to clean up your mess. I also advise when picking crabs to do so in a remote area of the yard on a picnic table which makes for an easier cleanup. So there you have it - picking blue crabs. I picked about 20 crabs yielding about 8 ounces of crab meat. I will be highlighting what was done with this delicious delicacy from the Chesapeake Bay in a future post. Thanks granddad for teaching me this "Life Lesson!" What food traditions do you have on your table this July 4th? You've got a lot more will power than me if any of that crab actually made it into the bowl. Pretty good description. I wish there was a crab shack in Richmond. Finally...a really good lesson on picking crabs! Thank you! oh there used to be this little dive of a pick up blue crab and take home kinda place by my house. the lines were always long. the people always patient. I was lucky enough to get my fair share of the spicy ones before it closed. i do it miss it seeing your post. congrats on getting married. enjoying the blog posts always. Pam, those are the best places and thanks so much for your readership and for the well wishes! Yum!!! I need to get myself some blue crabs this year!